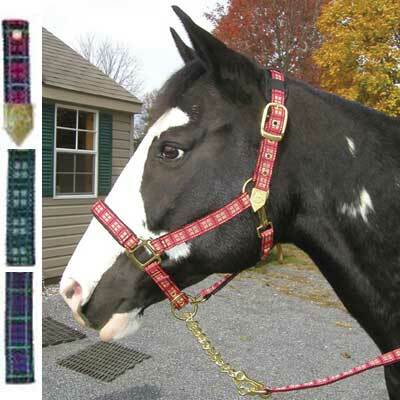 The 1'' nylon webbed plaid halter has padding at the nose and polls for extra comfort. The nylon halter comes with solid brass tack and has a solid brass tip at the end of the crown for adjustment. The horse halter has a snap at the throat and adjust at the throat. Two Color Nylon Halter 1"